As Good Girls, we are called to be stewards of our finances in a way that is God-honoring. Without Him, we truly have nothing. It is not ours, but by His grace and mercy. It is another area of our lives where, with joy and thanksgiving, we can lay it down at the altar, and honor God. I think that is so exciting! And when we are obedient to God, without fail, He blesses us. I'd love to invite you to trek with me deeper into the heart of God, as I explore stewardship and frugality as part of "Good Girl Style". I'm talking nitty-gritty budgeting strategies and rubber-hits-road confessions. It's gonna be real. This is my second year of what I call, "Frugal February." It's something I made up for myself, after realizing that I NEEDED to take a bit more care with my finances. Being a single twenty-something is difficult, especially in these economic times, so budgeting is essential for me. I also recently finished a "Financial Fitness" class, and heard a sermon on finances, that gave me extra incentive to be fiscally responsible (and a few more tips to pass along this month!). 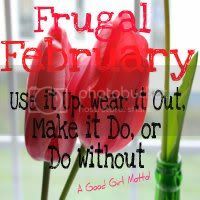 Frugal February comes at the perfect time of year. My budget is definitely looking a little bit overstretched (oh who am I kidding, I haven't looked at my budget since Christmas. And I may have been overindulging a bit in those January sales. Oops). It gives us a bit of time to reflect and dust off those budgets for the rest of the coming year. 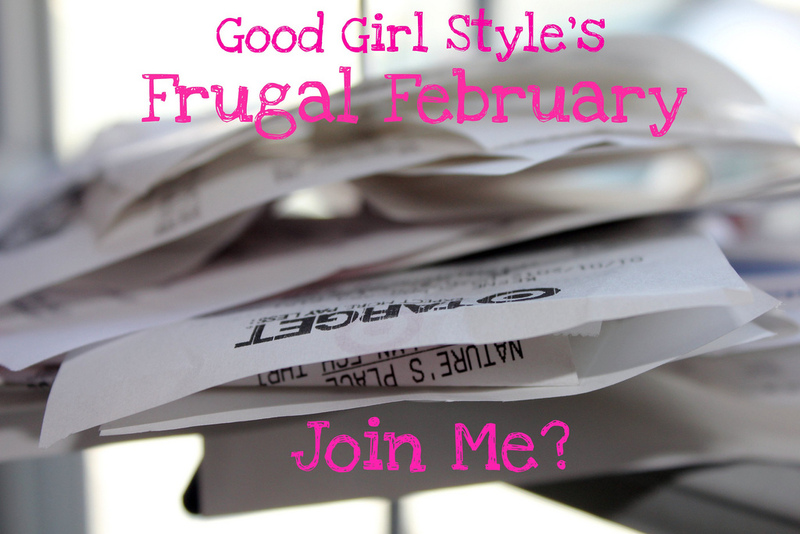 I am actually very, very excited about Frugal February and I really do hope you'll join me! First, a "Budgeting 101" post, coming right up! 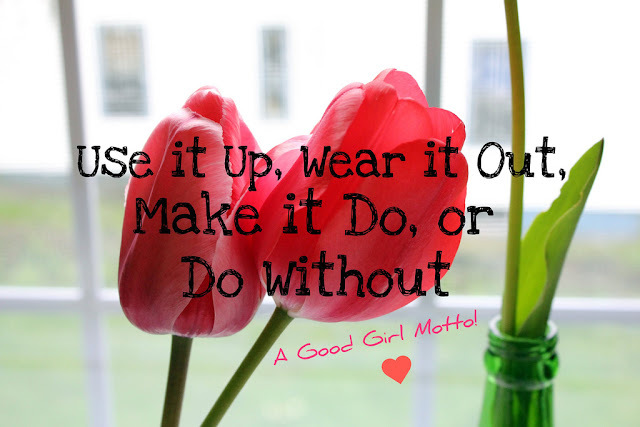 Week 1: Choose one thing to "use up"
Week 2: Find one thing to "mend"
I am so excited to get started! I really, really need this, and I hope you do, too. If you're going to join me, grab a button below and then link up! If you want to join in on the fun, put your link here, and we'll track progress together! I like this! What a great challenge - with spiritual focus behind it. Sounds like something I need to try : ) Would love to link up!